A piece of Niagara history. The St. Catharines Club is a historic building located in the heart of Niagara's largest city. The building maintains historic finishings and nods to an era during which the downtown of St. Catharines was built, becoming the epicentre of commerce and business for our Region. A formal meeting space at the epicentre of the Niagara business community.  While formally used as the Board Meeting space for the St. Catharines Club Board of Directors, this space can also be used by Club Members for their business needs. The space seats 10 at the board room table and features multi-media presentation capabilities and built in meeting amenities. A private bar for your community. 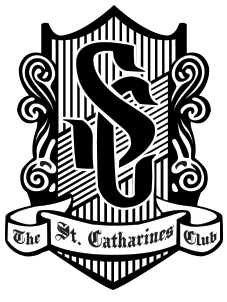 Club 77 is a signature of the St. Catharines Club. Comfortable bar style seating is arranged to cultivate conversation, to enjoy the game and to cut loose after a long day of work. This Club is often filled with business people discussing the news of the day, connecting over a few drinks and doing so in the privacy of their Club. The recommended capacity is 50-60 people when fully outfitted with event seating. Club 77 is home to a number of events throughout the year. The formal dining room at the Club is our most frequented element of the establishment and a space that has come to be known as a destination for consistent high quality. An exclusive location to entertain clients, to invite guests to, to celebrate an occasion and more. The dining room has an evolving menu that features local products and seasonal fare. The Birch room is a meeting space for the professional. Private and beautifully furnished, it is the perfect location to entertain clients, hold shareholders meetings or enjoy a staff meeting out of the office. The Crystal Room is a large space outfitted with a dining table suitable for up to 40 people. The space has housed joyous celebrations, large private dinners and has also been the site of gatherings of remembrance for members of our community. This room houses many of the formal occasions that our Club has become known for. A truly beautiful room in which to entertain and host. 40 people seated, with larger capacity up to 60 for standing receptions. Private dining rooms for every occasion. The Upper and Lower Cameo Rooms are private dining spaces that are perfectly suited for a small gathering, a lunch event and even a corporate meeting. The Upper Cameo seats 12 people, while the Lower Cameo seats an additional 12. There is a dramatic door in the middle of these two rooms which opens up to increase the shared capacity to 24. 12 in each individual room. Can be opened up to a large 24 person capacity space. Join a collection of engaged people, drive to inspire and create.